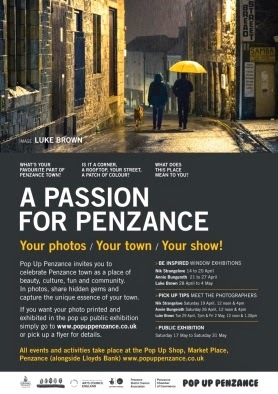 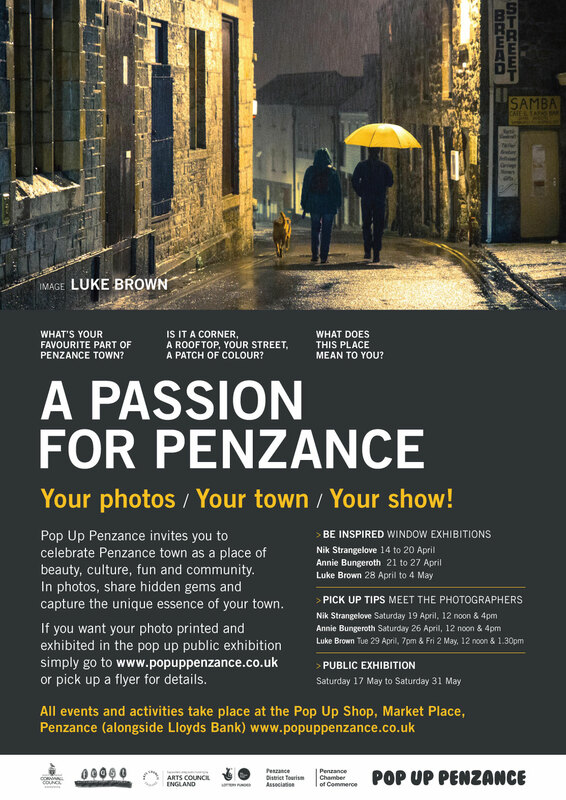 Penzance Chamber of Commerce: "A Passion for Penzance"
Pop Up Penzance are storming into a new season of activity with an Arts Council-funded project celebrating artists’ and the general public’s photographic perspectives on Penzance. 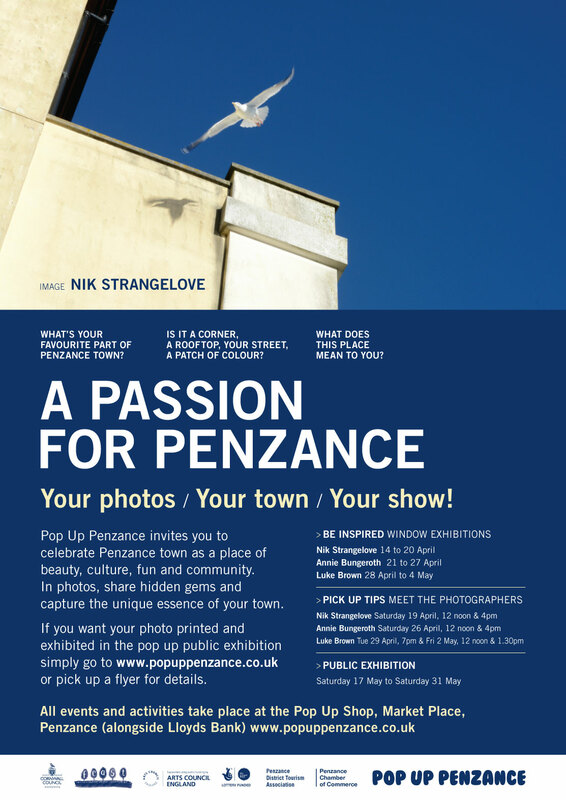 Launching in the windows of the Pop Up Shop alongside Lloyds Bank on Monday 14th April, the first of three week-long window exhibitions will be the work of Nik Strangelove. 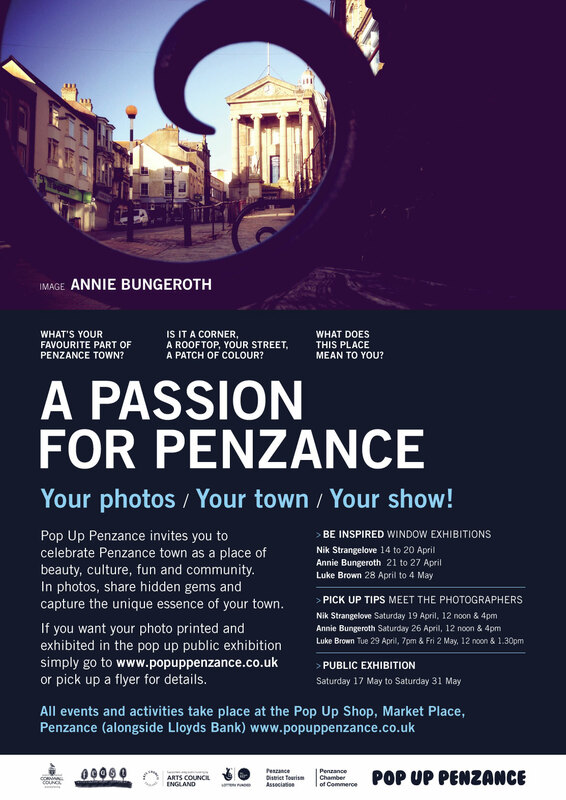 Subsequent exhibitions by Annie Bungeroth, and emerging artist Luke Brown will be shown in the windows on the following two weeks respectively. Local people are invited to be inspired by these exhibitions, look with fresh eyes on the town and submit photos of “their own” Penzance for a large public exhibition to be opened on Monday 19th May.